Bogota, Diciembre 12 de 2017. En estos días de inquietud mental, me puse a aprender como usar el Azure-CLI (command Line Interface). Iniciamos conectándonos a Azure con AZ login, Seleccionamos la suscripción con AZ Account, con AZ interactive iniciamos una sesión interactiva, que nos autocompleta los comandos. To sign in, use a web browser to open the page https://aka.ms/devicelogin and enter the code FBSYDW8GX to authenticate. acr : Manage Azure Container Registries. acs : Manage Azure Container Services. appservice : Manage your App Service plans. batch : Manage Azure Batch. billing : Manage Azure Billing. cdn : Manage Azure Content Delivery Networks (CDN). cloud : Manage the registered Azure clouds. cognitiveservices: Manage Cognitive Services accounts in Azure Resource Manager. component : Manage and update Azure CLI 2.0 components. consumption : Manage Azure Consumption. cosmosdb : Manage Azure Cosmos DB database accounts. disk : Manage Azure Managed Disks. dla : Commands to manage Data Lake Analytics accounts, jobs, and catalogs. dls : Commands to manage Data Lake Store accounts, and filesystems. feature : Manage resource provider features, such as previews. functionapp : Manage your function app. group : Manage resource groups and template deployments. image : Manage custom Virtual Machine Images. iot : Connect, monitor, and control millions of IoT assets. keyvault : Safeguard and maintain control of keys, secrets, and certificates. lab : Commands to manage DevTest Labs. lock : Manage Azure locks. monitor : Commands to manage Azure Monitor service. mysql : Commands to manage Azure Database for MySQL servers. network : Manages Azure Network resources. policy : Manage resource policies. postgres : Commands to manage Azure Database for PostgreSQL servers. provider : Manage resource providers. redis : Access to a secure, dedicated cache for your Azure applications. resource : Manage Azure resources. role : Use role assignments to manage access to your Azure resources. sf : Manage and administer a Service Fabric cluster. sql : Manage Azure SQL Databases and Data Warehouses. storage : Durable, highly available, and massively scalable cloud storage. tag : Manage resource tags. vm : Provision Linux or Windows virtual machines in seconds. vmss : Create highly available, auto-scalable Linux or Windows virtual machines. webapp : Manage web apps. interactive, so just type `az configure` and respond to the prompts. feedback : Loving or hating the CLI? Let us know! 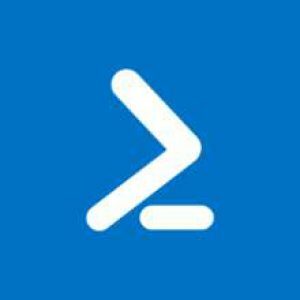 find : Find Azure CLI commands based on a given query. interactive : Start the interactive experience. login : Log in to access Azure subscriptions. logout : Log out to remove access to Azure subscriptions. The storage account named storage001 is already taken. The storage account property ‘accessTier’ is invalid or cannot be set at this time.